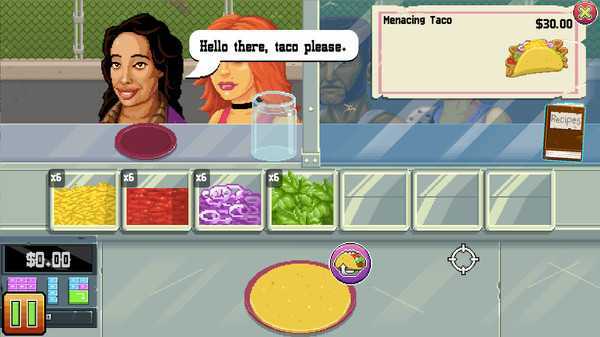 BuzzGunman Taco Truck has been getting rave reviews! "Without question, one of, if not the best roguelike game I've ever played."... 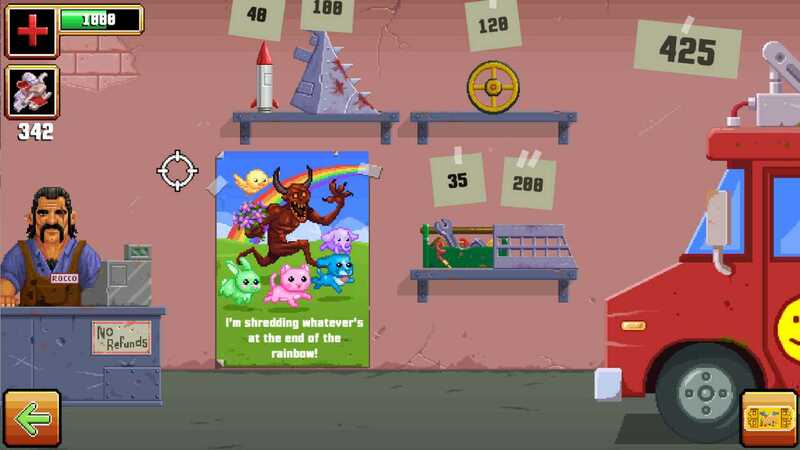 "Crazy good roguelike, very challenging and extremely fun. Cannot reccomend more highly!" 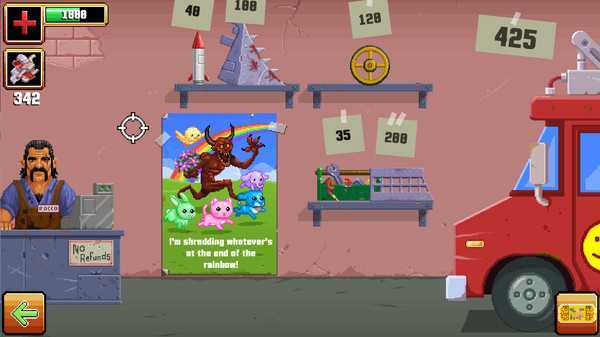 – Steam Review"Rather than a silly kids’ game, Gunman Taco Truck is a competent action roguelike with some strategy and planning elements thrown in for good measure. Instead of a simple distraction, there is a robust game here that is going to provide quite a challenge, and you’ll see a significant amount of gameplay before you reach the end. There are also decals to collect along the way, and there are various routes that you can take across the country, so expect to spend quite a bit of time with the game if you want to see everything. It can be a bit tedious to have to replay the early parts of the game over and over as you start from scratch each time, but as you progress it feels good to get a bit further. All in all, Gunman Taco Truck is quite fun, and it surprised me with just how much game hides just behind the vibrant, silly surface." – TechRaptorAll Age Gaming gives GMTT a 9/10 rating!Read the review here. A lot of great detail and information about GMTT.TechRaptor gives GMTT a 7.5/10 rating! Labeled "Very Good".Great write-up on TechRaptor!James Batchelor did an interview with Donovan about GMTTRead the full interview here.Gunman Taco Truck was covered in VentureBeatVentureBeat Gunman Taco Truck articleThe Wall Street Journal also covered Gunman Taco TruckWall Street Journal article about coding for kidsmitu has a great photo gallery showing some key moments during Gunman Taco Truck's developmentmitu photo gallery and triviaEven Kotaku covered Gunman Taco Truck appearing on Steam GreenlightKotaku Australia Gunman Taco Truck articleGame's Design Encouraged by Industry DesignersGunman Taco Truck was designed by Donovan Brathwaite-Romero when he was 9 years old. The game idea was so good that his parents, John and Brenda Romero, decided to make its development a family project. Over 2 years and lots of fun have gone into making Gunman Taco Truck an unforgettable experience, and the realization of Donovan's dream of making a video game. Donovan has been learning how to code for the past 3 years.About the GameGunman Taco Truck is an action-packed drive across the post-apocalypse United States to reach the safe haven of Winnipeg, Canada, where there are no taco trucks and your family’s taco business can thrive. 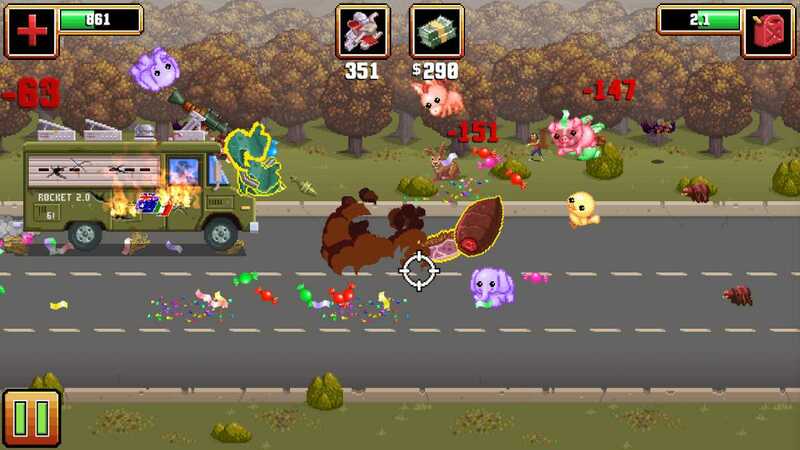 Getting to the safe towns is hectic but your truck is armed with weapons that blast mutants into taco fillings. In the towns you serve up the mutant scraps to struggling survivors who are more picky than they should be. 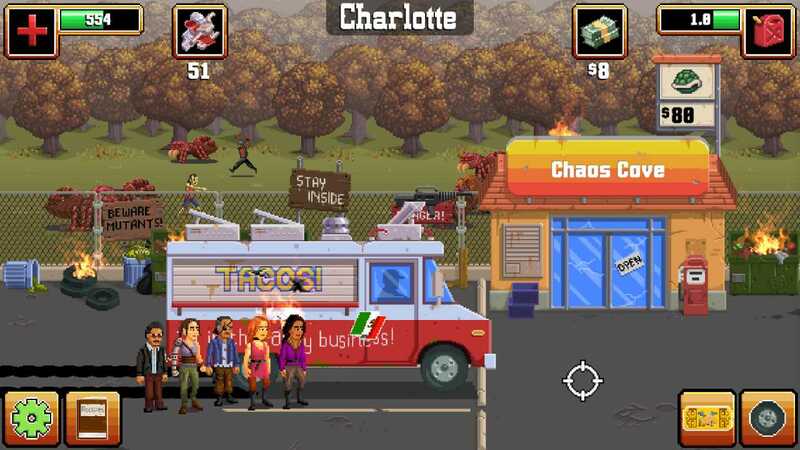 Use money earned and scrap metal found to upgrade your truck and buy gas and supplies for the trip to the next town.What does this game have?Blasting mutants on the highway to the next sanctuary cityMaking tacos and enchiladas for the hungry survivorsSpending your money to buy condiments and gas to help you get to the next citySpending your scrap to fix or upgrade your taco truck, or buy an even better taco truckDealing with picky apoco-survivors who want their tacos made perfectlyBlowing your last dollar, or piece of scrap, to win big at the slot machineGunman Taco Truck features a wide array of weaponry including an M-16, AK-47, RPG, Tommygun, Bazooka, Thompson, Shotgun, Uzi, Grenade Launcher, and Super Shotgun! These guns provide an increasing level of firepower to clear the road ahead. Keep upgrading to push further toward your goal.What is your goal?Your goal is Winnipeg, Canada, where there are no taco trucks and it's safe from the annihilation of the United States nuclear accident. You will keep your family business alive and show Winnipeg what REAL tacos are all about.ControlsYou need a mouse to aim the crosshairs at everything. The keyboard will help you change lanes and launch rockets during the highway scene. The game is mostly controlled with the mouse, however.